Align your life (+) work to serve your people, live your purpose and create an impact. What’s the deal with brand purpose? It goes beyond a color palette and creatively considered logo design - it’s about knowing the heart and soul that drives the organization. Whether the leader of a for profit or nonprofit organization, it’s important to recognize the need for this deeper level of identity for your brand. Purpose-driven companies are on the rise, in part driven by purpose-based entrepreneurs, and in part by consumer demands on the marketplace. What’s more, purpose-driven organizations more easily realize success: 85% of purpose-led companies reported growth in 2016, according to the Global Purpose Index, versus 42% of non-purpose companies who actually cited a drop in revenue. The first step in creating a purpose-driven brand is to go back to its roots. We explore our individual purpose as leaders, founders and creators of the company to then step into creating a purposeful brand identity filled with heartfelt stories and soul-fulfilling work. Our presenter is Lyssa Schmidt. She is a purpose-driven entrepreneur with 15 years experience in the communications industry, ranging from journalism and PR to marketing and branding. She is the founder, writer and brand strategist at Presence&Company. 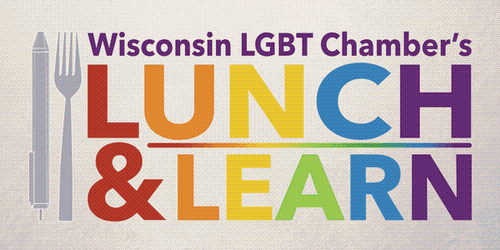 The Lunch & Learns are FREE for Chamber members and $10.00 for non-members. A special thanks to 100state, a long-time Chamber member, for hosting in their office.